As we wait for the news from the Eurogroup meeting, market didn’t move for hole day, but it seams that euro is loosing ground slowly. Is that an indicator that deal is not near and that we could see a risk on trading at the end of the day? Maybe, but on my oppinion, best choice is to stay a side and wait for final results to be anounced, if there is any possibility for compromise!? Your lab has sourced and imported it from New Zealand. Your research has taken the highest deer antler velvet extract and imported it from New Zealand. Whilst there is still an hour to go before the daily candle closes and not candle is a candle until it closes, nevertheless there does look to be shaping up an evening star. It is not the most perfect evening star though there are the main features. The problem is that the uptrend is feeble. However there is an uptrend since Monday 9th February 2015. The low of the candle of Monday 9th February 2015 was 1.12702, the low of the candle of Tuesday 10th February 2015 was 1.12729, the low of the candle of Wednesday 11th February 2015 was 1.12797, and the low of the candle of Thursday 12th February 2015 was 1.3020. Not the strongest uptrend but an uptrend nevertheless. The actual star has quite a body and more of a shooting star. Having said that, a shooting star is a very bearish candle. Thus if this candle pattern works it could foretell a move to retest the low down at 1.10971. However on the way down there is a strong band of support which require to be broken. However once it clears the low of 29th January 2015 at 1.12617 there is very little support until the low of 1.10971. If that gives the next support is the low of September 2003 at 1.07611 and at that point parity definitely comes into the sights. 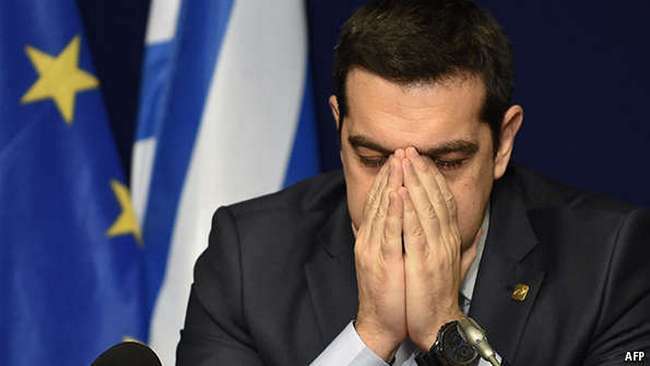 On the other hand a deal may be struck with Greece with everything in the garden rosie and the ensuing overdue euro short squeeze with the price action potentially testing the bottom of the traditional EUR/USD range at 1.30000. Whilst it is possible, it is certainly anything but probable and I am not betting the farm on it.